Have you ever wondered where your money goes from year to year? You might be satisfied with your salary but when tax season comes around you might also be bewildered at how much you spent and how little you have left. 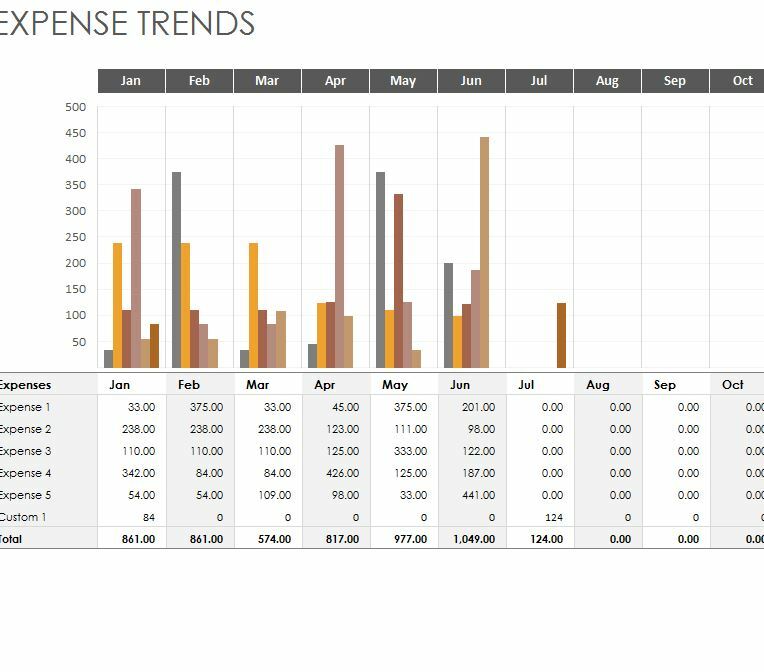 The Expense Trends Budget is a way for you to see exactly where you cash flow goes from year-to-year and from month-to-month. The template provides you with a nice and clean overview of all the information you enter into the document as well. You can see from a glance where you’re spending your money and make the necessary changes to save for your dream car, home, or whatever else suits you. The free Expense Trends Budget is downloaded by following the link that has been conveniently provided below. Now, go to the current month that you want to start monitoring your budget. You will find a list of all the months at the bottom of this document, just click on the appropriate tab. In each tab, you will find a table in which to enter categories, like mortgage and other important expense, and then list the amount you spent on those items for the entire month. You can even list important information about those items in the “Description” section of the table. The Trends Budget will take the totals you enter here and give you the calculated amount you’ve spent on the whole month. After you have gone through a few months entering this information, go to the “Summary” tab for further information. This page breaks down all the information across all the other pages of the template. In this page, you will find each expense listed in the first column of the table and how much you spent on each for every month so far. In addition, you will also see a graph of this information, outlining your spending habits for the entire year as well. Now you can take your budget and expenses in your hands with the free template below.